Hey all! It’s Friday…I wish another spontaneous beach trip would happen again! But, let’s be realistic here…not happening! Today’s post is extremely random. I found some interesting things I wanted to share and that’s all! Haha so nothing super special. I wish! And just so you know, when I styled blogged for CJ, I had to do all my own pictures (taken mostly by my mom and sister) and model outfits…not something I usually did. It was definitely out of my comfort zone. I LOVE this sweater (still have it hehe) and I can’t wait to pull it out again as soon as it gets in the…50’s!!!! If a running jacket has thumbholes, it immediately gets a 5 out 5 star rating! The pink one here, is from Lululemon! And can’t wait to pull out the scarves and vests/jackets! Two or my favorite clothing pieces in the Fall/Winter…I will pretty much stock up on them and wear them over and over again. Hot chocolate and XMAS lights? Um, yes please! You can check out the recipe for the fudge by clicking —>> Here! ^^^This box of Stevia and natural sweeteners to just experiment with, from NuNaturals! Already experimenting and can not wait to make more things! I really want to make some sort of sugar free chocolate peppermint fudge with the peppermint stevia extract! I don’t have bad oily skin or anything, but the way this Covergirl Oil Control Foundation (Classic Ivory) applies on my face, makes me love it so much! Its such a fave. I’ve been using is since sometime last year. 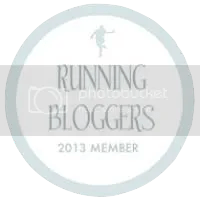 I recently found out that Alabama Bloggers had a FB page, and when they let me join I have been able to find some other running/healthy living/fitness/interesting blogs in AL that I had no idea about! So this is definitely something I’m liking. If you haven’t, see if your there’s a Blogging Network for your state or city/county! Seriously, its so supporting! Speaking of support…you know who your biggest supporter is? GOD! He wants us to succeed, to do great things, to push through negativity and to look to him for guidance. This book written by Judy Jacobs (who I’ve been listening to since I was like 8 years old), You are Anointed For This, is so good. I love getting my Bible out while reading the book and just soaking in His word. And I can never, ever, ever, ever, get tired of Zevia! I have yet to try all the flavors, working on that! I love the new Stonyfield #FightPesticides GO ORGANIC video! I have become so aware of how much stuff (yogurt, cookies, a taco at chipotle, a can of corn, an apple from the market) has horrible PESTICIDES or is GMO. The wonderful thing about Stonyfield, is that they are completely against that! So, if I’m going to eat yogurt, I’m eating Stonyfield Organic. I’m also on the lookout for: ORGANIC chicken, turkey, beef (grass fed beef thank you) and vegetables, cage free organic eggs, and trying not to eat too many boxed things unless it has minimal ingredients that I KNOW OF! Just spreading the word! FDA says High Fructose Corn Syrup is Natural??? HA! Have you had any soup, stew, or chili yet? Did you like any of the links I listed above? Oh my gosh you’re too cute! I love that sweater! Fall is in full swing here so sweaters have already been whipped out! I would give anything for flip flops and beach weather….trade ya? I love to wear boots and cardigans and scarfs in Fall (or Autumn as we call it here in Australia). I have so many scarfs and love it when the weather is cool enough to justify wearing one every day. I’m off to check them out now! I love Old Navy gym gear when my bf and I went to Hawaii earlier this year I bought so much of their stuff! Hopefully they still have them. Thanks for the link love! I’m so ready for fall fashion! Sweaters, boots, and scarves are my favorite!